Fine finishes and arts and crafts style are highlights of this premier home. Living room with cathedral ceilings, floor to ceiling rock fireplace, and wall of windows to capture the view. Grand kitchen and breakfast area with top-of-the-line appliances, beautiful cabinetry, and granite counters. Tree-house-type screened porch, expansive deck. Formal dining room could also serve as a large study. 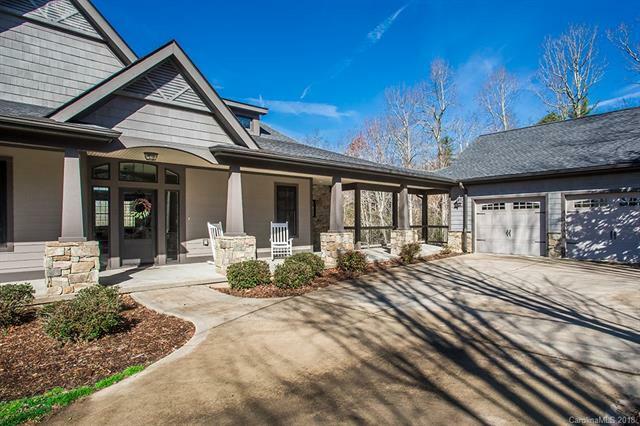 Owners retreat with mountain view includes a sitting room and private screened porch. Large walk-in closet with built-in storage. Luxurious master bathroom with double vanities, stand-alone shower, and soaking tub. Half-bath for guests. Double garage joined by the covered porch and side entrance through an organization area adjacent to the laundry room. Lower level features two bedrooms and two full bathrooms; each placed at opposite sides for privacy. Between these suites is a fantastic family/recreation room with rock fireplace and doors to another massive deck. See 3-D Tour! Sold by Private Mountain Communities.